Free floral background frame graphics. A beautiful vector illustration inspired by spring nature and summer days. Decorative green vector frame with spring flowers, curls, glossy stars and decorative ribbons, ideal for your garden party invitations and posters. 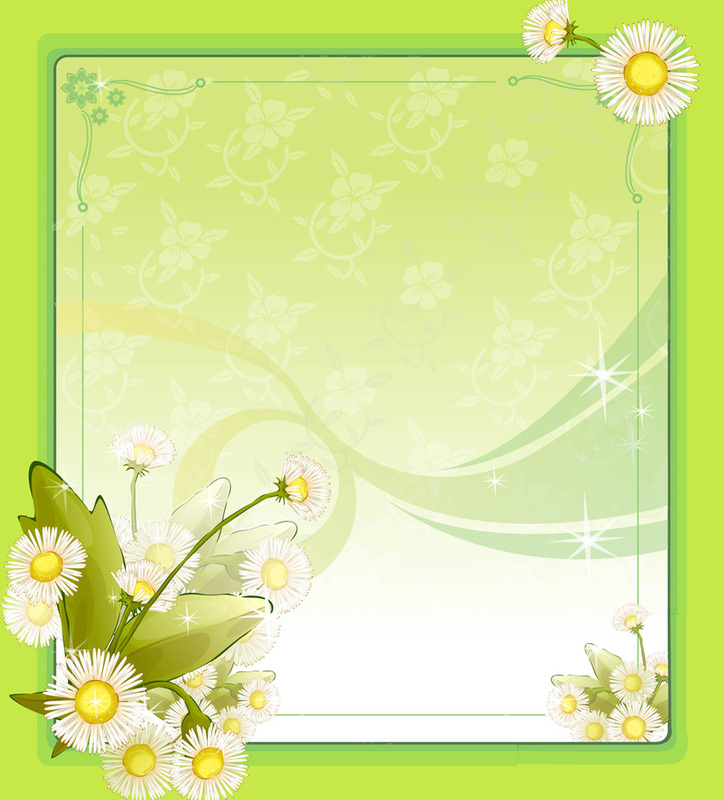 Flower frame vector by Alis Design Mania.